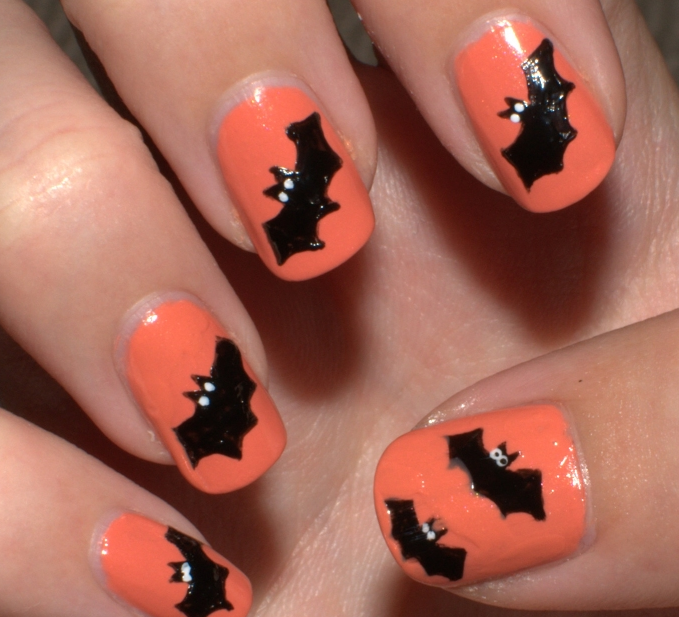 Check out these nail art inspiration for the trick or treating season. 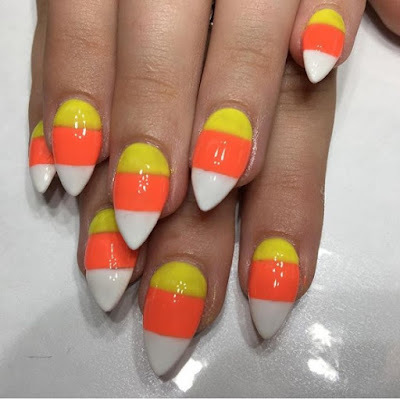 If wearing costumes this Halloween is not for you, you can celebrate the spooky season by painting your nails with trick or treating season-inspired designs. And whether you are a nail salon or someone obsessed with nail art, coming up with a unique design can sometimes be tough. 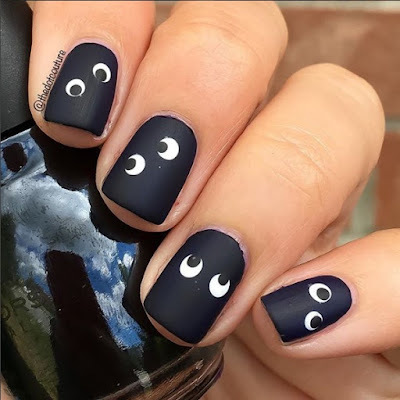 With that said, we curated five of our favorite spooky nail art designs from Instagram and get inspiration from them to come up with your own styles. 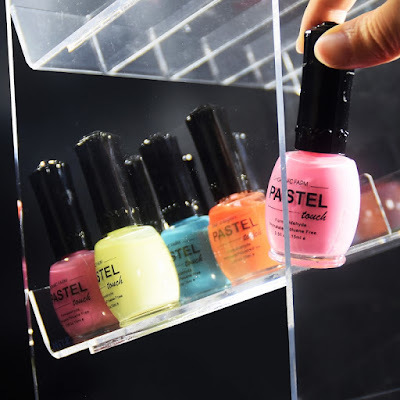 Get your nail polish rack organizers out now! Who doesn’t know Jack Skellington? Well, for those who aren’t familiar, he’s the good guy in the 90s movie, The Nightmare Before Christmas and is the Pumpkin King of Halloween Town. 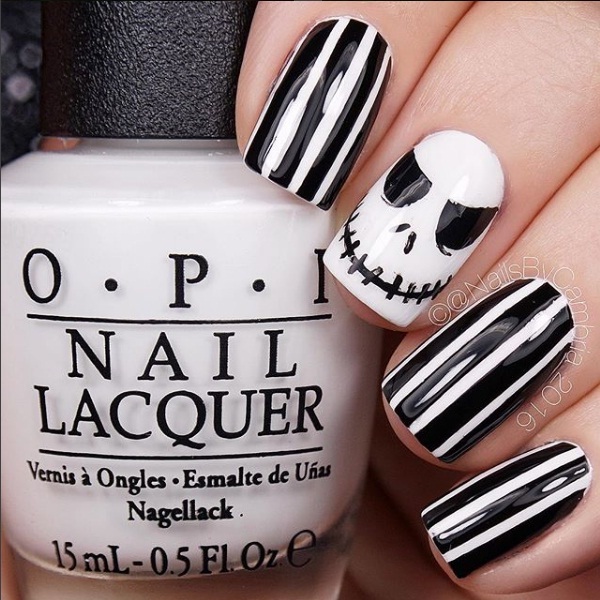 Jack is the perfect character to paint your nails because he’s quite popular among 90s kids and millennials, and yes, very easy to make. All you need is white and black nail polish. Paint large stripes on four of your nails and leave one white. Carefully draw Jack’s face, no need for a stencil. And voila! That’s Jack Skellington ready to party! If you want Halloween with a touch of femininity, you can go with the sassy felines. But instead of using just black nail polish, use a purple or a lavender shade. Use this shade as the base. 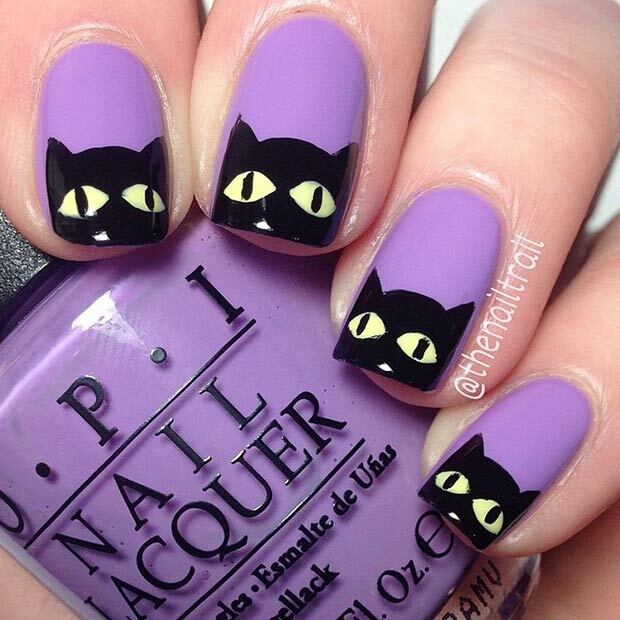 Once it dries, carefully draw black cat heads on from the tip of the nail until the center. Let the black polish dry then draw eyes using a pastel yellow polish. Add black pupils once the yellow polish dries as well. To finish off your look, get that black goth choker from your necklace display and channel Morticia or Wednesday Addams! Are you a fan of the Walking Dead? The Blood Splatter is the perfect design for you! It does look a bit icky, but it’s a cool and creative Halloween-inspired design that’s easy to do. 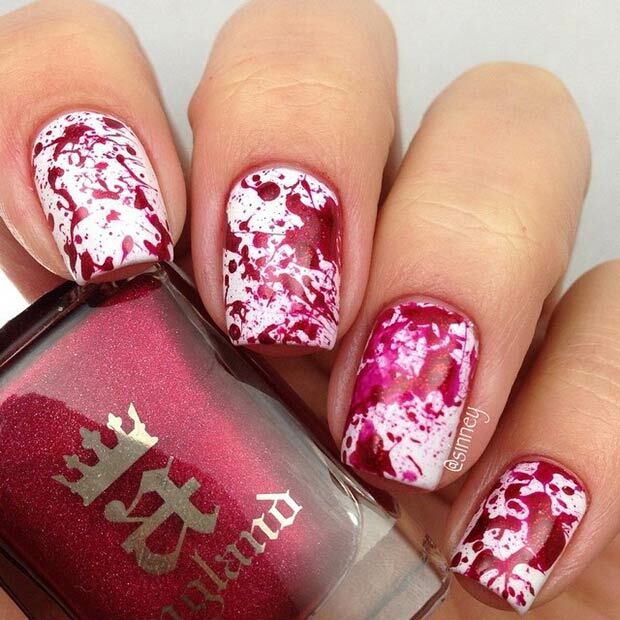 You just need two colors -- white for the base and bloody bright red for the splatter. Of course, no need for a stencil for the blood, all you have to do is gently flick the brush a few centimeters above your nails. It might be a little messy, so make sure you have a nail polish remover within your reach! Blood is too much? Then go cute and sweet. Take inspiration from the favorite Halloween treats such as the candy corn! You can either use the glittered, matte or gel kinds of polish and they will definitely all look great. All you need are white, orange and yellow and create stripes on each of your nails. Stiletto nails are ideal for this design as they look more like real candies with the shape. Here’s an easy nail art which only needs two nail polish colors -- black and white. The Googly Eyes design is spookily cute and easy to do! Apply solid black polish on your nails. Use a bobby pin to dab white to make the eyes then add smaller black dots after the white spots have dried. Jenny of The Dot Couture applied a matte coat which we think gives it a spookier effect, versus using plain gel polish. This is the easiest one among the bunch, and cute too! Need a nail polish rack organizer for your nail polish collection? Check out the shop for many types of acrylic organizers, as well as jewelry display, makeup organizers, and even jewelry tools and supplies.